> Вазы>43966 / X01 "KUPAVA" ARTISTIC PAINTING ON TRANSPARENT GLASS "
43966 / X01 "KUPAVA" ARTISTIC PAINTING ON TRANSPARENT GLASS "
We offer our customers a wide range of glass and crystal products, because we know that a large selection in your store is the key to successful trading, and hence good incomes. This glass vase of simple form, decorated with a flower extravaganza, will undoubtedly attract the attention of visitors. We are ready to give you an additional discount but the total amount of the order. 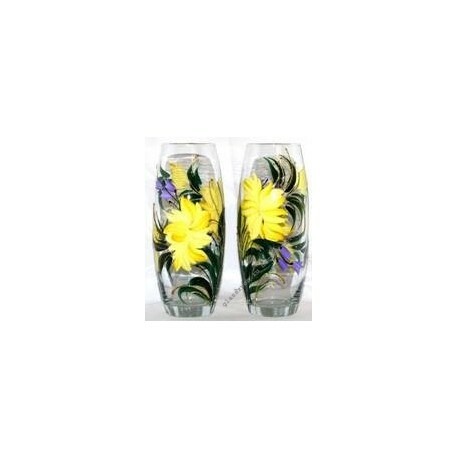 All products are carefully packed and with the utmost care to ensure that you have received the entire shipment intact, even if you ordered wholesale vases in Perm , Saratov or another city.